As the central residential district within the 1,100-acre community development plan, Hollingsworth Park offers the feel of luxury city living while still having access to endless comfortable amenities. Residents enjoy access to numerous features, including a 20-acre park, paved walkways, an event space, a fitness studio, Stella’s Southern Brasserie, a dry cleaner and more. 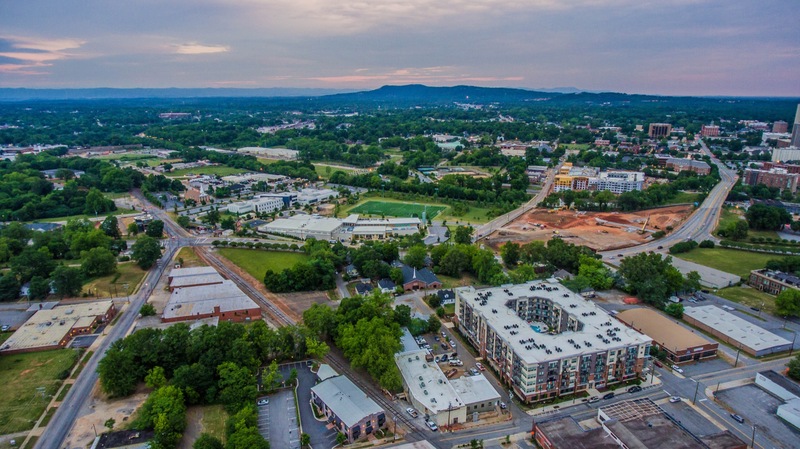 The neighborhoods are also conveniently located minutes to downtown Greenville with frontage access along two of Greenville’s major roads (Woodruff and Laurens). 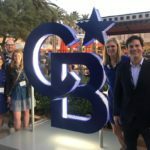 Coldwell Banker Caine is the exclusive marketing and sales partner for Bella Grove, Chelsea Townes, and The Brownstones neighborhoods within Hollingsworth Park at Verdae. For more information, please visit our Coldwell Banker Caine Global Luxury sales center above Stella’s Southern Brasserie at 340 Rocky Slope Road, Suite 300, staffed by the agent sales team Monday – Saturday from 11 – 5, and Sunday from 2 – 5 pm. 100 East Condominiums offer the downtown lifestyle you’ve been waiting for. Featuring recent upgrades, the condos boast modern yet classic living options for a variety of buyers. With prices starting in the $200Ks, enjoy unique amenities such as a rooftop pool, unparalleled downtown views, easy parking, and more. 100 East offers premier access to the most coveted real estate in Greenville. Stop by the sales office (Wed–Sat, 11–5 PM) or call for a personal tour of the two decorated models. Exceptional quality, affordable luxury. For over 30 years, LS Homes has been a trusted home builder in Greenville and across the Upstate of South Carolina. At LS Homes, we work to do more than build homes—we build a better quality of life. With a focus on investing in highly sought-after communities, we work to create beautiful and sustainable housing in competitive markets. The cost of our custom-built homes starts in the $200s. By taking a personal approach to home building, we take pride in every home built. The expertise of a large builder paired with the friendliness and locality of a small business sets us apart. From the moment you set foot in an LS Home, you’ll notice the unmistakable quality. You can still find that welcoming spirit in Greenville, South Carolina. A new community with “Respect for Land and Neighbor,” Acadia will restore your appreciation of neighborhood. Acadia is thoughtfully master planned on 340 acres of beautiful woodlands along the Saluda River. Just a 10-minute drive from downtown Greenville, Acadia invites you to visit, play, work, stay in Acadia. Acadia offers true southern living in thoughtfully planned neighborhoods of unique character & distinction, while keeping 100 acres (nearly one-third of Acadia’s total land area) in greenspaces & common areas for everyone to enjoy. With a focus on style, quality and affordability, it’s no surprise that Great Southern Homes has become a leading builder in South Carolina exclusively. In 2016, the company closed over 750 houses and was recognized as the 74th largest builder in the nation and the 6th fastest-growing private builder by Builder Magazine. Great Southern Homes offers eight communities in the Upstate, Dawn Creek and Fountainbrook in Fountain Inn, Roland’s Crossing and Bella Woods in Boiling Springs, Wilson Farms in Duncan, and Weatherstone, Victoria Park, and Bessinger in Simpsonville. Great Southern Homes builds green and smart homes ranging from $130,000’s- $400,000’s, and all are equipped with Honeywell’s “Tuxedo Touch” Home Automation Smart System. They also come with a Residential Energy Cost Guarantee for two years after purchase. Visit the model homes (M-Sat 11AM-5PM, Sun 1-5PM), or call for a personal tour. Connected by an elevator, each City Homes @ Markley features three levels with 3-4 bedrooms (with guest suite), 2.5 – 3.5 bathrooms, 2,500 – 3,100 sq. ft., a two-car garage and an additional two reserved parking spaces. Features include stained concrete and 5″ oak plank floors with open staircases, skylights, walls of glass facing downtown and stained wood ceilings. Each unit will be sold as a single-family home with standard lot ownership and a simple homeowner’s association. To meet our sustainability standards, these homes feature spray-foam insulation, a tankless water heater, energy efficient windows, LED lighting and high efficiency HVAC systems with guaranteed gas and electric bills of less than $150/mo. for the first year.